All hope abandon ye plagiarists who enter here. In the spirit of Dante Alighieri’s The Divine Comedy, Unicheck plagiarism checker reveals an alternative and humorous look at the fate that awaits plagiarists who are committing a sin against originality. The plagiarism hell has a place for everyone, even “good” souls who ignore plagiarism guidelines, thereby sealing their fate to one day plagiarize and face the consequences of plagiarism, dwell here. The infographic takes a closer look at what happens to poor souls guilty of various plagiarism sins, ranging from the unintentional plagiarism to submitting the wholly stolen work. 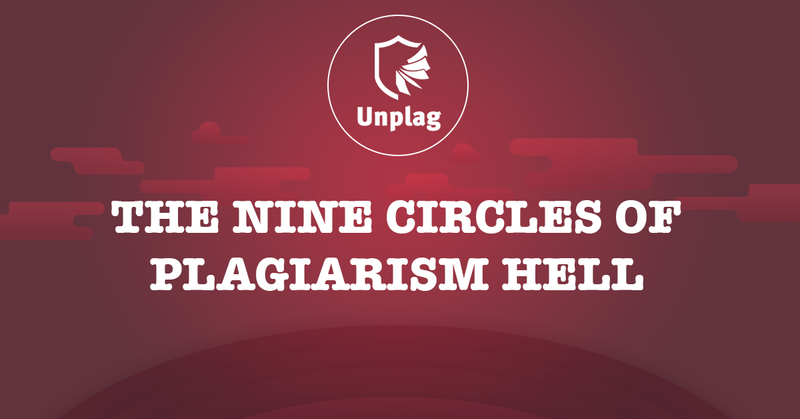 It offers a tour through the nine increasingly dreadful circles of plagiarism hell, in which sinners remain until they correct all incidents of copying and fraud. The most passive souls never leave, abandoning their graduation and career dreams. Be aware of plagiarism and take care!